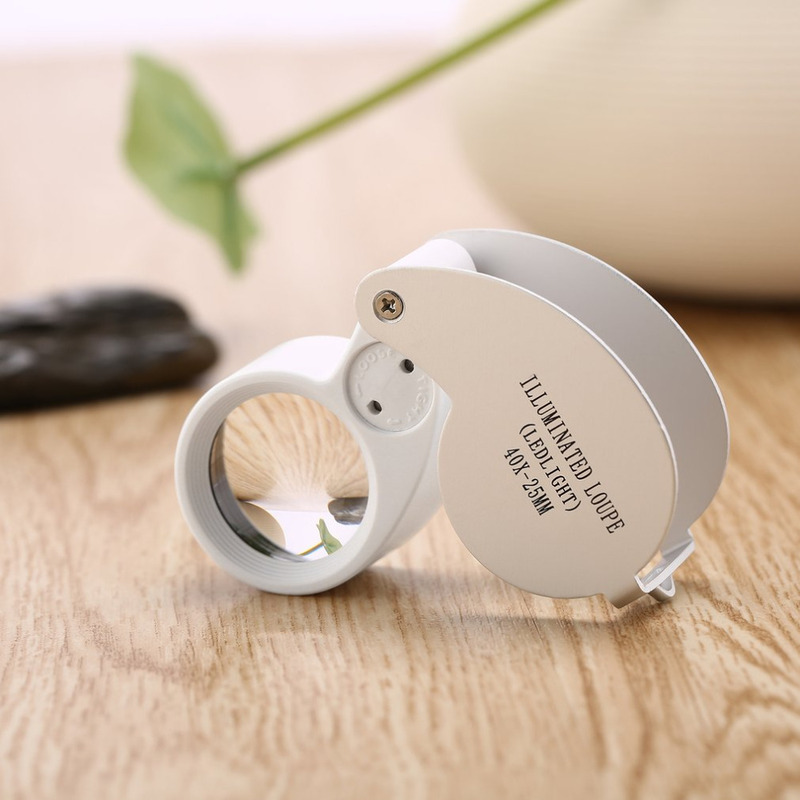 The item is a portable and practical magnifying glass loupe with 40X magnification and white LED light, which is made of durable hard metal and optical glass lens materials, and ideal for identifying jewelry, repairing watch, arts and crafts, drawing pictures, handicrafts, appreciating flowers and miniature, landspace, etc. 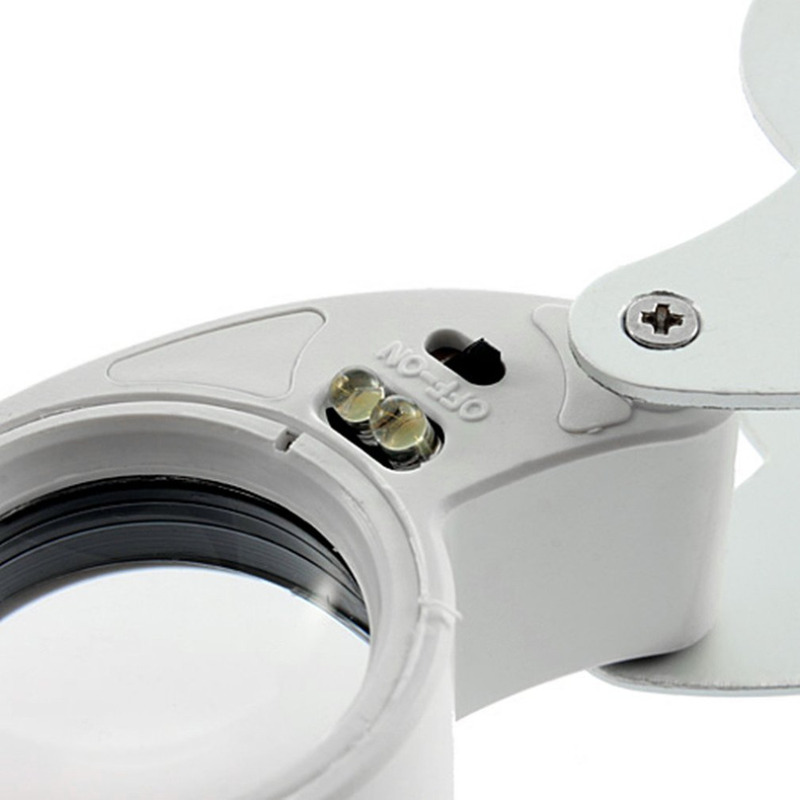 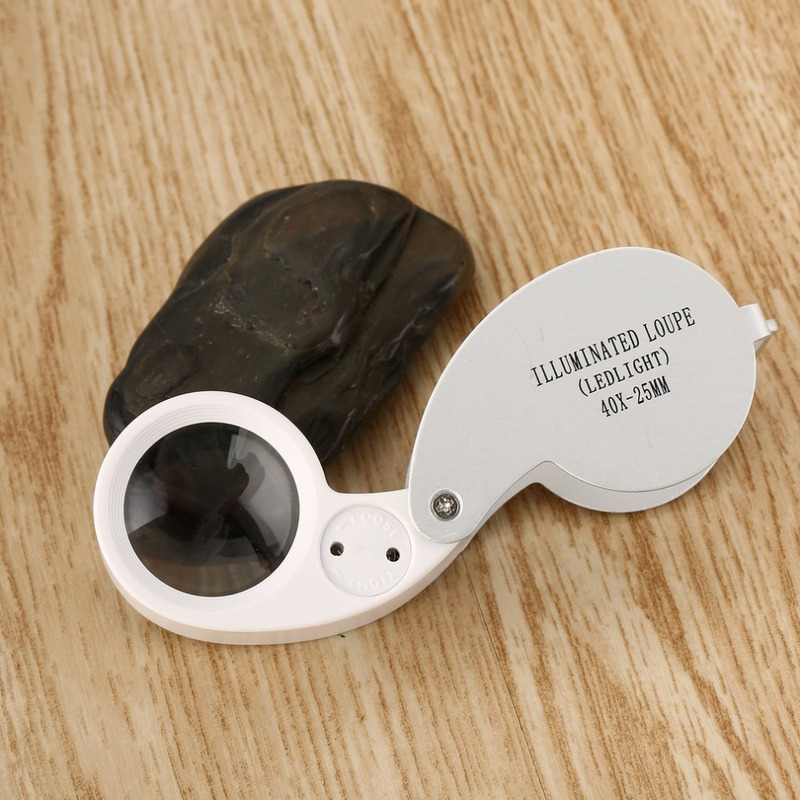 With foldable design and pocket size, it is really a wonderful LED illuminated magnifier loupe for choice. 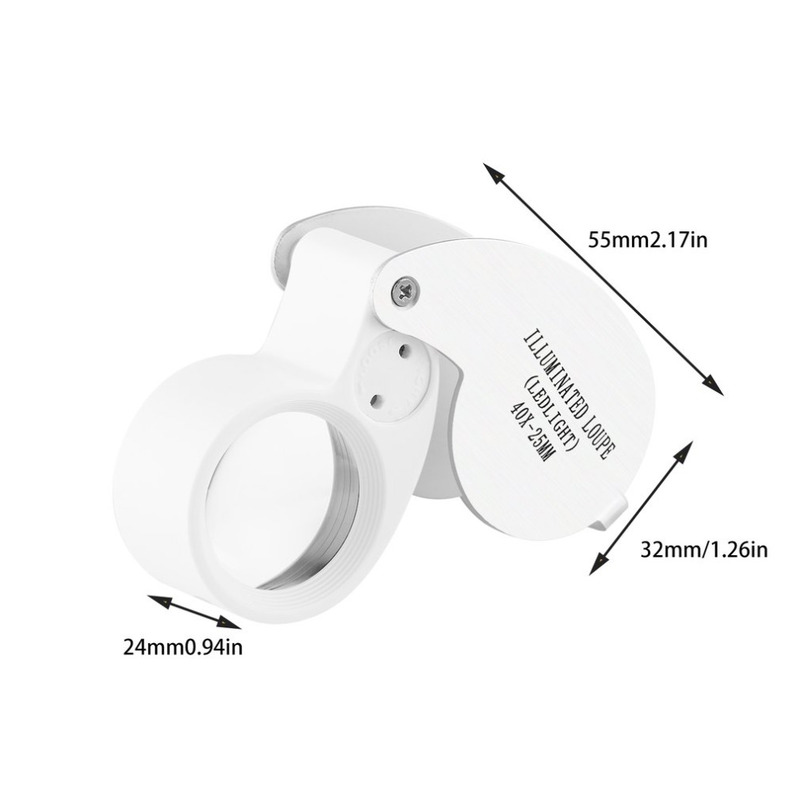 - 100% brand new and high quality 40X 25mm Metal White LED Illuminated Loupe Jewelry Magnifier Magnifying Glass. 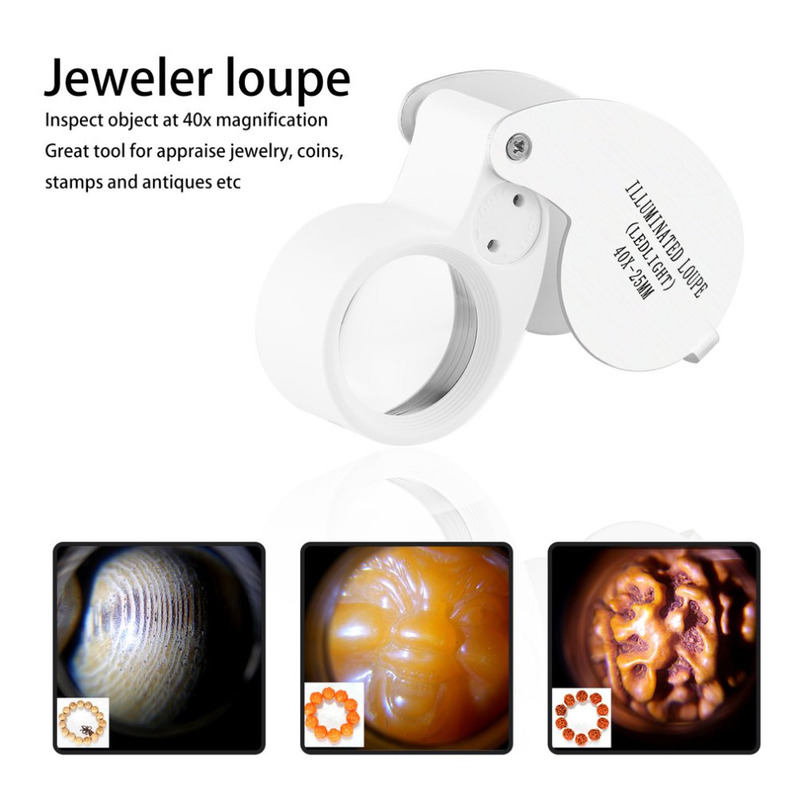 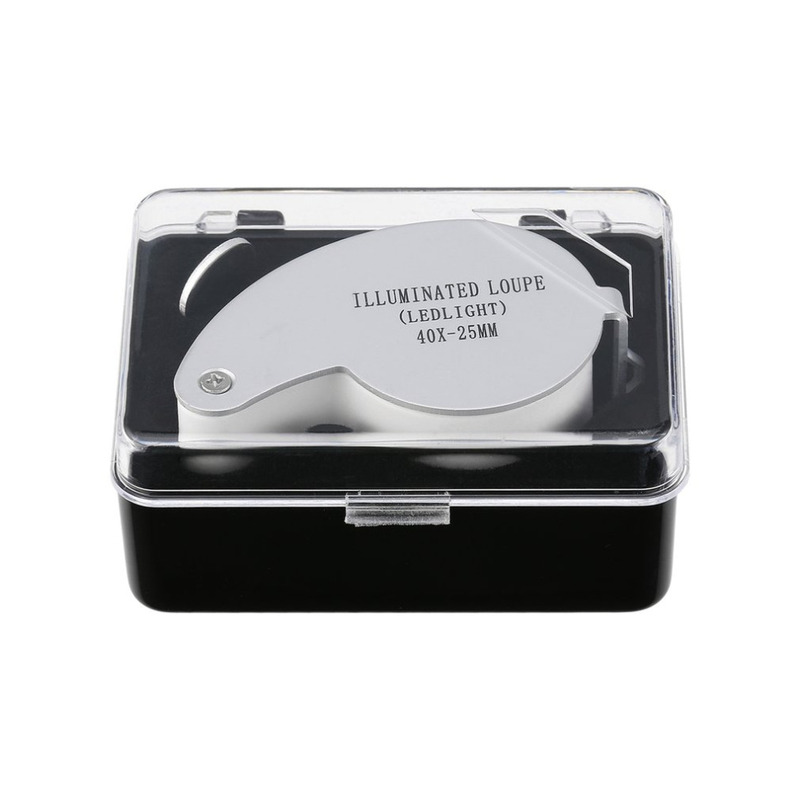 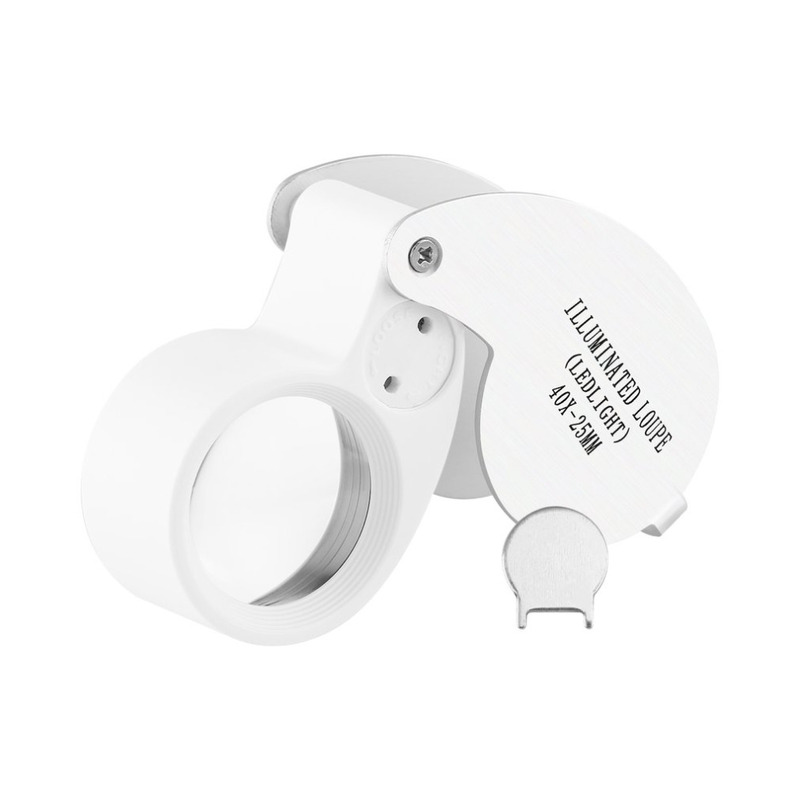 - Mini metal magnifier loupe with 2pcs bright white LEDs to illuminate the object for clear magnification.